Bran’s plodding arc with the Three-Eyed Raven finally began to pay dividends in “Oathbreaker.” Learning how to move through time, Bran travels backwards to witness events at the Tower Of Joy, where he watches his young father, Ned Stark, fight some goons just outside the imposing battlement. 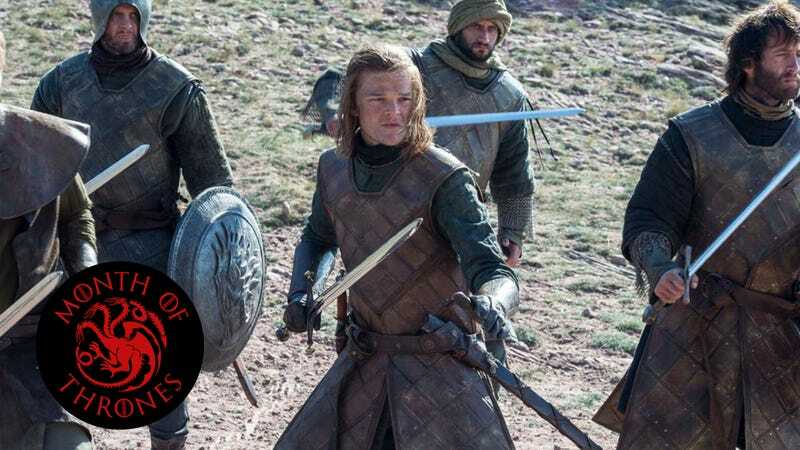 Ned is there to save his sister, Lyanna, whom he (and Bran) believes has been captured by Rhaegar Targaryen. But book readers and internet fan theorists saw a greater purpose: They’d long promoted the concept that “R + L = J”: Rhaegar Targaryen + Lyanna Stark = Jon Snow. And here, at last, was, if not proof, then at least solid evidence. Because unfortunately, all Bran and the viewers see is Ned outside the Tower, where Lyanna’s screams are audible. This is just a tease: The Three-Eyed Raven pulls Bran out of the vision before he can see more. But this scene all but confirmed the theory of Jon Snow’s parentage. Why else bring up the long-dead Lyanna Stark? Why else have Bran travel to this particular moment in time? It’s laying a foundation for what’s to come later in the season, stoking the fire of the theory and, in all likelihood, introducing it to a much wider audience. “R + L = J” isn’t unequivocally confirmed until the sixth-season finale, when Bran returns to see the rest of the scene. 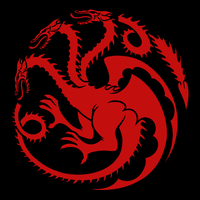 But we’re introduced to it here, in a clever way to build anticipation for one of the biggest reveals of all: That Daenerys is not the only remaining Targaryen. We’re also introduced to an intriguing aspect of Bran’s time travel that has yet to be explored. When Bran calls out to his father, Ned pauses and looks around in confusion, suggesting Bran’s time travel powers come with the ability to alter and influence the past. Appropriately, Jon and Daenerys take center stage. The previous episode witnessed Jon Snow’s return from the dead, and here he fully wakes up and reckons with the fact that all the people who just killed him are still at Castle Black. So he walks away from the Night’s Watch—his death gives him an out, even if it is only on a technicality—and toward a future away from The Wall. Daenerys, meanwhile, finds herself stuck with the other wives of fallen khals in Vaes Dothrak. Winding up back where she started in season one, her brief stay with the Dothraki shows how far she’s come in six seasons, and there’s no doubt, even as she’s seemingly trapped, that she’s resourceful enough to turn a disadvantage into an opportunity. Back in Meereen, Tyrion and Varys deal with the problem of the Sons Of Harpy. In King’s Landing, Cersei attempts to join the Small Council, but is rebuffed. In Braavos, Arya spars with the Waif, and eventually Jaqen H’ghar restores her vision. Smalljon Umber offers Ramsay Bolton the gift of Osha and Rickon Stark.